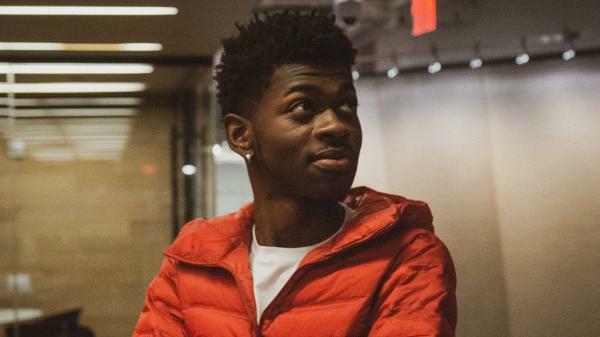 Despite Lil Nas X's viral hit "Old Town Road" having a blend of rap and country elements, Billboard removed the song from its Hot Country Songs chart. When an artist finds their song climbing up the Billboard charts for the first time, it's usually a cause for celebration. But in the case of 19-year-old rapper Lil Nas X and his viral hit, "Old Town Road (I Got Horses in the Back)," it's also been a cause of controversy. Lil Nas X first released "Old Town Road" in December 2018 and it quickly gained popularity on the social media app TikTok. "Old Town Road" blends genres of country and trap and in March, the song charted on Billboard's Hot 100, Hot Country Songs and Hot R&B/Hip-Hop Songs charts simultaneously. But that same month, Billboard removed the track from its Hot Country Songs list. This raised questions and uproar from fans over discrimination. The publication released a statement to Rolling Stone defending the chart revision that read: "While 'Old Town Road' incorporates references to country and cowboy imagery, it does not embrace enough elements of today's country music to chart in its current version." Critics of Billboard's decision, including artists like Moses Sumney and Billy Ray Cyrus, say it's proof that the music industry doesn't afford black artists the same creative license as white artists. "The song is definitely a rap song. But who decides what is or isn't country music is very subjective," says Sam Sanders, host of NPR's It's Been A Minute. "Lots of folks are saying 'Hey, Billboard, Hey, country, You allow white artists to get on these charts with songs that aren't quite country all the time.' There are artists like Sam Hunt who was clearly influenced by hip-hop, artists like Taylor Swift who made country songs that were more pop than country for years." Shane Morris, founder of BMD Agency in Nashville, says part of the push back against Lil Nas X wasn't just related to race. It was also the country industry being afraid of how the rapper emerged; on social media, without going through the Nashville gatekeepers. "There isn't like a SoundCloud for independent country," Morris says. "The fans don't adopt music in the same way. They very much are given what they're supposed to like and then that's that." With songs like "Old Town Road" changing the playing field, Sanders says it's country's job to adapt. "The question is can country music catch up with hip-hop and everyone else and make peace with this brave new world?" On April 5, Lil Nas X released the official remix to "Old Town Road" featuring Billy Ray Cyrus. When an artist finds their song climbing up the Billboard charts, it's usually a cause for celebration. In the case of the rapper Lil Nas X and his viral hit "Old Town Road," it's also been a cause of controversy. LIL NAS X: (Singing) I got the horses in the back. Horse tack is attached. Hat is matte black. MARTIN: The song blends genres, and its debut on three different Billboard charts illustrated that very fact. But then Billboard decided to just remove the song from the Hot Country Songs chart. A lot of critics did not like that decision one bit. They say it's proof that the music industry doesn't afford black artists the same creative license as white artists. NPR's Sam Sanders is the host of the news and culture podcast It's Been A Minute, and he is with us to talk about this. Hey, Sam. SAM SANDERS, BYLINE: Hey, Rachel. Isn't that the catchiest song (laughter)? MARTIN: It is super catchy. MARTIN: I found myself just sitting, grooving. So before we get into the whole controversy, we have to understand where this song came from, right? Explain. SANDERS: Yeah. So "Old Town Road" is a TikTok phenomenon. And TikTok is the social media app that lets you make these really highly edited videos of yourself, usually lip synching or dancing to popular songs. And that's how this song blew up at first. MARTIN: All right. How does it even get there? SANDERS: So Lil Nas X first released "Old Town Road" independently back in December, but it broke out because a lot of young, mostly white kids who like country began to make videos of themselves set to this song on TikTok. Once it blew up on TikTok, it blew up on streaming, and then radio begins to play it. And then all of a sudden, country radio has a country hit on its hands by a black rapper. MARTIN: And what was the big deal about that? SANDERS: People were mad about it. You know, there's this blog called Saving Country Music, and this writer there - Kyle "The Trigger Man" Coroneos - he called "Old Town Road" nothing more than an internet meme, and he said it's not qualified as a country song. It's just a rap song with a trap beat. And he wasn't the only one that felt that way because after making an appearance on the Billboard country chart for a week, where it hit No. 19, Billboard pulled "Old Town Road" from that chart. They said the song has references to country and cowboy imagery, but it does not, quote, "embrace enough elements of today's country music." MARTIN: So I guess that gets to how we define any kind of musical genre. I mean, I guess to a certain degree, Billboard has a point. The song is a rap song, right? SANDERS: ...Is very subjective. And lots of folks are saying, hey, Billboard, hey, country, you allow white artists to get on these charts with songs that aren't quite country all the time. There are artists like Sam Hunt, who was clearly influenced by hip-hop, artists like Taylor Swift, who made country songs that were more pop than country for years. MARTIN: Right, total crossover. Yeah. SANDERS: Yeah. But all those artists, Rachel - they're white. MARTIN: So what does this say about the state of country music? SANDERS: So I talked with Shane Morris. He worked in Nashville for years doing digital artist development, and he says part of the pushback against Lil Nas X and this song - it wasn't just race. It was also the industry kind of being afraid of how this guy emerged - on social media, without going through the Nashville gatekeepers. SHANE MORRIS: There isn't, like, a Soundcloud for independent country. The fans very much are given what they're supposed to like, and then that's that. SANDERS: And so the question is, can country music catch up with hip-hop and everyone else and make peace with this brave, new world? MARTIN: Sam Sanders is the host of It's Been A Minute. Sam, thanks as always. MARTIN: And now, an update on this story. Billy Ray Cyrus collaborated with Lil Nas X and released a remix of "Old Town Road" overnight. BILLY RAY CYRUS: (Singing) Hat down, crosstown, living like a rock star. Spend a lot of money on my brand new... Transcript provided by NPR, Copyright NPR.